당뇨병과 뇌하수체 질환의 스페셜리스트 "
내분비대사내과 허규연 교수는 당뇨병과 뇌하수체 질환을 전문으로 진료하고 있습니다. 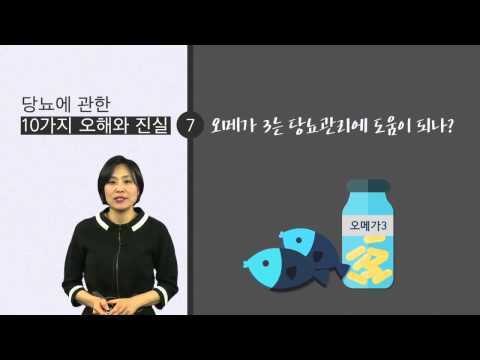 치료의 전문성과 효과를 높이기 위해 과학적 근거에 입각한 영양교육과, 구체적인 운동 제시, 환자 개인의 특성에 맞는 약물치료를 시행하는 등 다각도로 접근하고 있습니다. 더불어 당뇨병과 고지혈증 환자의 치료제 개발에 도움이 될 지질대사 분야의 연구에 집중하고 있습니다. PLoS One. 2017 Apr 21;12(4):e0176209. doi: 10.1371/journal.pone.0176209. eCollection 2017. Increase in serum albumin concentration is associated with prediabetes development and progression to overt diabetes independently of metabolic syndrome Jun JE11, Lee SE1, Lee YB1, Jee JH2, Bae JC3, Jin SM1, Hur KY1, Lee MK1, Kim JH1,4. Osteoporos Int. 2017 Apr;28(4):1377-1384. doi: 10.1007/s00198-016-3892-0. Epub 2017 Feb 10. Serum 25-hydroxyvitamin D cutoffs for functional bone measures in postmenopausal osteoporosis Lee DY11,2, Jee JH3, Cho YY1, Jang JY1, Yu TY1, Kim TH1, Hong YJ1, Hong WJ1, Jin SM1, Hur KY1, Kim JH1, Kim SW1, Chung JH1, Lee MK1, Min YK4. PLoS One. 2017 Mar 27;12(3):e0174228. doi: 10.1371/journal.pone.0174228. eCollection 2017. Decline in lung function rather than baseline lung function is associated with the development of metabolic syndrome: A six-year longitudinal study Kim SK11,2, Bae JC3, Baek JH1, Jee JH4, Hur KY5, Lee MK5, Kim JH5. Endocrine. 2017 Mar;55(3):944-953. doi: 10.1007/s12020-016-1221-1. Epub 2017 Jan 2. TSH increment and the risk of incident type 2 diabetes mellitus in euthyroid subjects Jun JE11, Jin SM1, Jee JH2, Bae JC3, Hur KY1, Lee MK1, Kim SW1, Kim JH4,5. Ann Lab Med. 2017 Mar;37(2):169-171. doi: 10.3343/alm.2017.37.2.169. Thyroxine (T4) Autoantibody Interference of Free T4 Concentration Measurement in a Patient With Hashimoto's Thyroiditis Lee MN11, Lee SY2, Hur KY3, Park HD4. Endocrine. 2017 Feb;55(2):503-512. doi: 10.1007/s12020-016-1138-8. Epub 2016 Oct 5. The effect of TSH change per year on the risk of incident chronic kidney disease in euthyroid subjects Lee DY11,2, Jee JH3, Jun JE1, Kim TH1, Jin SM1, Hur KY1, Kim SW1, Chung JH1, Lee MK1, Kim JH4,5. Thyroid. 2017 Jan;27(1):29-38. doi: 10.1089/thy.2016.0171. Epub 2016 Dec 9. Association Between Changes in Thyroid Hormones and Incident Type 2 Diabetes: A Seven-Year Longitudinal Study Jun JE11, Jee JH2, Bae JC3, Jin SM1, Hur KY1, Lee MK1, Kim TH1, Kim SW1, Kim JH1. Metabolism. 2016 Nov;65(11):1629-1635. doi: 10.1016/j.metabol.2016.08.006. Epub 2016 Aug 24. Change in serum albumin concentration is inversely and independently associated with risk of incident metabolic syndrome Jin SM11, Hong YJ1, Jee JH2, Bae JC3, Hur KY1, Lee MK1, Kim JH4. Autophagy. 2016 Aug 2;12(8):1390-403. doi: 10.1080/15548627.2016.1184799. Epub 2016 Jun 23. Autophagy deficiency in myeloid cells increases susceptibility to obesity-induced diabetes and experimental colitis Lee HY11, Kim J2,3, Quan W1, Lee JC1, Kim MS4, Kim SH5, Bae JW4, Hur KY1, Lee MS2. Sci Rep. 2016 Jun 15;6:27938. doi: 10.1038/srep27938. CREBH-FGF21 axis improves hepatic steatosis by suppressing adipose tissue lipolysis Park JG11, Xu X1, Cho S2, Hur KY3, Lee MS4, Kersten S5, Lee AH1,2. World Neurosurg. 2016 Jun;90:496-503. doi: 10.1016/j.wneu.2016.03.050. Epub 2016 Mar 26. Serial Re-Expansion of Pituitary Gland Is Associated with Endocrinologic Recovery Cho KR11, Hong SD2, Hur KY3, Kim ST4, Seol HJ1, Lee JI1, Kong DS5, Nam DH6. Autophagy. 2015 Nov 2;11(11):2089-2101. Chronic HMGCR/HMG-CoA reductase inhibitor treatment contributes to dysglycemia by upregulating hepatic gluconeogenesis through autophagy induction Wang HJ11,2,3, Park JY4,5, Kwon O3,6, Choe EY1,2, Kim CH3,6, Hur KY7, Lee MS7,8, Yun M9, Cha BS1,2,3, Kim YB10, Lee H4,5, Kang ES1,2,3. J Diabetes Investig. 2015 Nov;6(6):600-9. doi: 10.1111/jdi.12328. Epub 2015 Feb 28. New mechanisms of metformin action: Focusing on mitochondria and the gut Hur KY11, Lee MS1. Cardiovasc Diabetol. 2015 Jun 4;14:70. doi: 10.1186/s12933-015-0233-0. The association between glycemic variability and diabetic cardiovascular autonomic neuropathy in patients with type 2 diabetes Jun JE11, Jin SM2, Baek J3, Oh S4, Hur KY5, Lee MS6, Lee MK7, Kim JH8. Eur J Clin Nutr. 2015 Mar;69(3):361-6. doi: 10.1038/ejcn.2014.284. Epub 2015 Feb 4. Effect of high dietary sodium on bone turnover markers and urinary calcium excretion in Korean postmenopausal women with low bone mass Park SM11, Joung JY1, Cho YY1, Sohn SY1, Hur KY1, Kim JH1, Kim SW1, Chung JH1, Lee MK1, Min YK1. Diabet Med. 2015 Feb;32(2):274-9. doi: 10.1111/dme.12607. Epub 2014 Oct 29. Association between the extent of urinary albumin excretion and glycaemic variability indices measured by continuous glucose monitoring Jin SM11, Kim TH, Oh S, Baek J, Joung JY, Park SM, Cho YY, Sohn SY, Hur KY, Lee MS, Lee MK, Kim JH. Nat Commun. 2014 Sep 26;5:4934. doi: 10.1038/ncomms5934. Systemic autophagy insufficiency compromises adaptation to metabolic stress and facilitates progression from obesity to diabetes Lim YM11, Lim H1, Hur KY1, Quan W1, Lee HY1, Cheon H1, Ryu D2, Koo SH3, Kim HL4, Kim J5, Komatsu M6, Lee MS1. J Hum Genet. 2014 Sep;59(9):488-93. doi: 10.1038/jhg.2014.61. Epub 2014 Jul 31. Germline mutation of Glu70Lys is highly frequent in Korean patients with von Hippel-Lindau (VHL) disease Hwang S11, Ku CR1, Lee JI2, Hur KY3, Lee MS3, Lee CH4, Koo KY4, Lee JS4, Rhee Y1. J Lipid Res. 2014 May;55(5):850-9. doi: 10.1194/jlr.M045104. Epub 2014 Mar 5. Transcriptional regulation of apolipoprotein A-IV by the transcription factor CREBH Xu X11, Park JG, So JS, Hur KY, Lee AH. Diabetes Res Clin Pract. 2014 May;104(2):266-72. doi: 10.1016/j.diabres.2014.02.003. Epub 2014 Feb 22. Clinical factors associated with absolute and relative measures of glycemic variability determined by continuous glucose monitoring: An analysis of 480 subjects Jin SM11, Kim TH1, Bae JC1, Hur KY1, Lee MS1, Lee MK1, Kim JH2. J Diabetes Investig. 2014 Feb 12;5(1):60-5. doi: 10.1111/jdi.12123. Epub 2013 Aug 5. Hemoglobin A1c values are affected by hemoglobin level and gender in non-anemic Koreans Bae JC11, Suh S2, Jin SM1, Kim SW1, Hur KY1, Kim JH1, Min YK1, Lee MS1, Lee MK1, Jeon WS3, Lee WY3, Kim KW4. J Diabetes Investig. 2014 Feb 12;5(1):51-9. doi: 10.1111/jdi.12127. Epub 2013 Sep 2. Predictive factors of durability to sitagliptin: Slower reduction of glycated hemoglobin, older age and higher baseline glycated hemoglobin Chung HS11, Suh S2, Kim MY3, Kim SK3, Kim HK3, Lee JI3, Hur KY3, Kim JH3, Min YK3, Lee MS3, Kim KW3, Kim SW3, Chung JH3, Lee MK3. PLoS One. 2012;7(10):e46819. doi: 10.1371/journal.pone.0046819. Epub 2012 Oct 22. Regular Exercise Is Associated with a Reduction in the Risk of NAFLD and Decreased Liver Enzymes in Individuals with NAFLD Independent of Obesity in Korean Adults Bae JC11, Suh S, Park SE, Rhee EJ, Park CY, Oh KW, Park SW, Kim SW, Hur KY, Kim JH, Lee MS, Lee MK, Kim KW, Lee WY. J Korean Med Sci. 2012 Feb;27(2):177-83. doi: 10.3346/jkms.2012.27.2.177. Epub 2012 Jan 27. The Ability of beta-Cells to Compensate for Insulin Resistance is Restored with a Reduction in Excess Growth Hormone in Korean Acromegalic Patients Kim SK11, Suh S, Lee JI, Hur KY, Chung JH, Lee MK, Min YK, Kim JH, Kim JH, Kim KW. Diabetologia. 2012 Feb;55(2):392-403. doi: 10.1007/s00125-011-2350-y. Epub 2011 Nov 11. Autophagy deficiency in beta cells leads to compromised unfolded protein response and progression from obesity to diabetes in mice Quan W11, Hur KY, Lim Y, Oh SH, Lee JC, Kim KH, Kim GH, Kim SW, Kim HL, Lee MK, Kim KW, Kim J, Komatsu M, Lee MS.
J Korean Med Sci. 2011 Sep;26(9):1196-200. doi: 10.3346/jkms.2011.26.9.1196. Epub 2011 Sep 1. Korean Type 2 Diabetes Patients have Multiple Adenomatous Polyps Compared to Non-diabetic Controls Suh S11, Kang M, Kim MY, Chung HS, Kim SK, Hur KY, Kim JH, Lee MS, Lee MK, Kim KW. Diabetes Obes Metab. 2010 Oct;12 Suppl 2:20-6. doi: 10.1111/j.1463-1326.2010.01278.x. Role of autophagy in beta-cell function and mass Hur KY11, Jung HS, Lee MS.
Atherosclerosis. 2010 Jul;211(1):69-76. doi: 10.1016/j.atherosclerosis.2010.01.035. Epub 2010 Feb 2. Protective effects of magnesium lithospermate B against diabetic atherosclerosis via Nrf2-ARE-NQO1 transcriptional pathway Hur KY11, Kim SH, Choi MA, Williams DR, Lee YH, Kang SW, Yadav UC, Srivastava SK, Jung M, Cho JW, Kim SG, Kang ES, Lee EJ, Lee HC. Nephrol Dial Transplant. 2010 Mar;25(3):976-84. doi: 10.1093/ndt/gfp567. Epub 2009 Oct 28. Effects of pioglitazone on subclinical atherosclerosis and insulin resistance in nondiabetic renal allograft recipients Han SJ11, Hur KY, Kim YS, Kang ES, Kim SI, Kim MS, Kwak JY, Kim DJ, Choi SH, Cha BS, Lee HC.